The situation with the Intermediate-Range Nuclear Forces (INF) treaty signed by Mikhail Gorbachev and Ronald Reagan on December 8, 1987, remains questionable as tensions between the two nuclear powers remain. Both sides still have unresolved concerns towards each other over the document. In particular, in the 2015 US State Department report on adherence to and compliance with arms control agreements once again accused Russia of developing a ground-launched cruise missile that violates the treaty, repeating the points listed in the 2014 report almost word for word. “The United States has determined that in 2014, the Russian Federation continued to be in violation of its obligations under the INF Treaty not to possess, produce, or flight-test a ground-launched cruise missile (GLCM) with a range capability of 500 km to 5,500 km, or to possess or produce launchers of such missiles,” reads the document published in June 2015. In return, Moscow replied that the US officials are unable to provide any concrete proof of the case and refer to “reliable sources” which authenticity is impossible to verify. Moreover, Russia expressed concerns over the plans to install missile defense systems in Romania and Poland that could potentially be used to launch missiles banned under the INF treaty, as well as the use of combat unmanned aerial vehicles (drones) that fit under the description of ground-based cruise missiles. “It would appear as if the main goal of the US propaganda campaign over the INF Treaty is to discredit Russia and at the same time to divert public attention from US activities which are based on a very loose interpretation of the INF Treaty provisions where they prevent the US from creating weapon systems that are important for Washington,” reads the comment of the Russian Foreign Ministry. Moreover, the decision to deploy elements of the missile defense system in Poland and Romania poses a threat to these countries, as this immediately makes them strategic objectives for Russia, stated Evgeny Lukyanov, Deputy Secretary of the Security Council of the Russian Federation. International experts and politicians continue stressing the importance of preserving the INF treaty, as denouncing it would once again plunge the parties in the Cold War, while ignoring its provisions would cause a new arms trade with further escalation of tensions worldwide. “Abandoning the treaty […] would trigger harsh criticism [against the US] from the international community (just like in the case of the abandonment of the ABM Treaty) – especially under an administration which has so vehemently advocated for nuclear disarmament and moving towards global zero. […] Besides, the US does not need ground-based intermediate range missiles for its national security and for the reassurance of its allies, therefore there is no real benefit of withdrawing from the agreement,” Anna Peczeli, research fellow for the Centre for Strategic and Defence Studies at the Corvinus University of Budapest commented on the situation. In her opinion, an open confrontation between the parties would threaten the interests of both Russia and the US. “For both sides, arms control regimes are still essential to provide some level of transparency and trust,” the expert added. From her point of view, resolving the escalated issue would require the parties to review the technical details of their allegations and make a clear statement of their intentions to abide by the INF treaty in the future. “If additional countries could accede to the INF Treaty, that would further strengthen the regime and erase many of the national security concerns of the parties,” Anna Peczeli suggested. Vera Flasarova, head of the International Politics and Security Department at the central committee of the Communist Party of Bohemia and Moravia, added that those issues are particularly important at present times, with new conflicts frequently flaring up on the world map. “The issue of using short and medium-range missiles becomes more and more topical, as these missiles can be successfully utilized for high-precision strikes in regional conflicts,” the politician stressed. In an attempt to protect their own strategic interests or their allies, many countries choose to cross the boundaries set by international agreements, she added. “Representatives of both parties sitting down at the negotiation table in efforts to gradually reach an agreement would help observing the INF treaty and de-escalation of the situation. However, the possibility of that is little in the currently tense situation,” said the member of Communist Party of Bohemia and Moravia. In his turn, Steven Pifer, former United States Ambassador to Ukraine (1998-2000), ex-Deputy Assistant Secretary of State in the Bureau of European and Eurasian Affairs, director of the Arms Control Initiative at the Brookings Institution, pointed out that the two parties may have to negotiate a compromise if they indeed seek resolution for the problem. “The Russian government has expressed concern that the SM-3 missile interceptor installations in Romania this year and in Poland three years ago could hold a ground-launched cruise missile. One thought that occurs to me is that the United States might offer some transparency, allowing the Russians to confirm that they do not hold and could not hold a ground-launched cruise missile, in return for Russia demonstrating some transparency with regards to American concerns about the Russian ground-launched cruise missile tests,” he explained in an interview to “PenzaNews” agency. 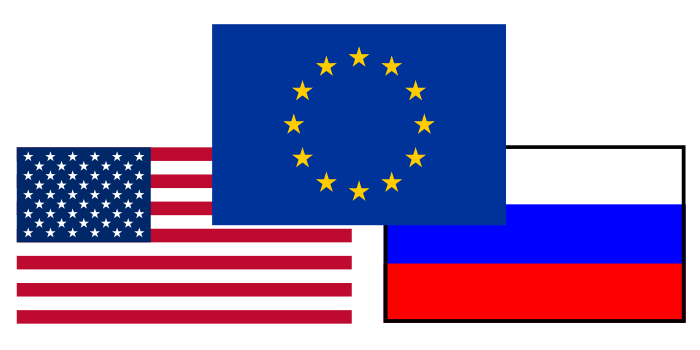 If the US or Russia abandon the treaty, the countries of Europe and Asia will also suffer, Steven Pifer thinks. “First of all, to go back and look at 1987, the reasons that the United States and the Soviet Union decided to sign the Treaty is they concluded that having intermediate-range ground-launched cruise and ground-launched ballistic missiles were not in their security interests. If the Russia were to abandon the treaty, and face a possibility that the American missiles return to Europe: I don’t think that would be in the Russian interests, just as I don’t think the possibility of Russian missiles targeting American allies in Europe and Asia is in the US interests,” said the former US Ambassador to Ukraine. Moreover, he said he fully believes that Moscow had indeed conducted the tests of a prohibited land-based cruise missile, although he could not tell exactly which. “The specifics had not been named publicly. I had been told by American officials that they hit the Russian government with sufficient information so that the Russian government could identify the missile test in question,” Steven Pifer added. At the same time, the ex-Deputy Assistant Secretary of State in the Bureau of European and Eurasian Affairs said the concerns of the Russian side “are of lesser importance” and questioned the accusations that the use of combat drones by the US military violates the INF treaty. “The definition of a ground-launched cruise missile in the INF treaty basically says: ‘A missile that goes from point A to point B and is destroyed to attack the target.’ A drone goes from point A to point B, it may fire a small rocket, but then it returns back to point A. That clearly is different from a ground-launched cruise missile, and my guess is that the Russian military, which is working to develop armed drones of its own, as soon as it acquires that capability, it will no longer make the claim that these kinds of drones are a violation of the INF treaty,” the interviewee suggested. However, Said Aminov, military expert and editor of “Vestnik PVO” web-based media, disagreed with that opinion. “Armed long-range unmanned drones, contrary to intelligence-gathering ones, constitute a violation of the INF treaty,” he said, stressing that the Russian projects are designed for intelligence-gathering purposes. From his point of view, the current situation calls for an international legislation to ban unregulated use of military drones, as they tend to cause great numbers of civilian casualties on the battlefield. “But I think that would be a very difficult thing to do while there are so many local conflicts nowadays, especially if the US is concerned in the issue,” the expert stated. Discussing potential means of US influence on Russia over the INF treaty issue, he said he fully believes Washington to have nothing with which to hinder the Russian advance in military technology. “I think it will have more to do with political pressure, with sanctions. However, as you can see, even the North Korea and Iran that are or were targets of large-scale international isolation, an economy and technology blockade, still create their own space missile tech,” Said Aminov noted. From his point of view, Russia follows all provisions of the Intermediate-Range Nuclear Forces treaty. “All projects are fully compliant with these range limitations, including joint ventures such as ‘BrahMos’ with India,” the expert said. In his opinion, Moscow and Washington should continue working on the treaty in spite of currently tense relations due to the Ukrainian conflict, the situation with Crimea and the expansion of the missile defense system in the Eastern Europe. “It is vital to preserve the treaty and follow it, as this has real effect on global international stability. […] This can help prevent the emergence of such rockets or restrict their numbers in other regions – in the Middle East and the Southeast Asia,” Said Aminov noted. Jessi Lintl, Member of Austrian Parliament, foreign affairs spokesperson for Team Stronach party, expressed a similar point of view. “It is fundamental to preserve and possibly even expand the already signed disarmament and arms limitation treaties. There is no doubt that a choice of any one side to exit the treaty would not be a wise decision and may cause a new nuclear arms race. That must be avoided by all means,” the politician explained. She believes that the current international situation requires immediate action to re-establish constructive dialogue with Russia – not only by Washington, but by the European Union as well. “In my opinion, improving the atmosphere for talks between Europe and Russia requires lifting the European financial sanctions against Russia and, at the same time, the Russian counter-sanctions against the European Union. As a neutral state, Austria must take any measures on the EU level to have the sanctions lifted, with the previous history of good relations with Russia in mind,” the Austrian MP added. Discussing the current state of the US-Russian talks, Jessi Lintl noted that the present atmosphere of secrecy does not allow to make any definite conclusion on the alleged INF treaty violations. “The bilateral dialogue practically has ground to a stalemate. With that in mind, I would say the concerns of both sides are indeed justified,” said the spokesperson of Team Stronach. At the same time, Tobias Pflueger, deputy chairman of the Left Party of Germany (Die Linke), former member of the European Parliament, stated that no side should leave the INF treaty as that would be a de-facto declaration of a new Cold War. “I hope that no side really will cancel the treaty because the treaty is a very important historic moment: it ended a long time of terrible ever-growing arms race,” the politician noted. From his point of view, Moscow and Washington should place emphasis on diplomacy with a possible third party in the talks, like China, and temporarily suspend the arsenal modernization projects that might cause negative reaction on the opposite side of the Earth, if they indeed seek to de-escalate the current situation. “I think what both sides should do is not modernize their nuclear arms. I know that, for example, the United States is doing this at the moment. […] My main call would be that the States should not modernize their nuclear weapons,” added the deputy chairman of the Left Party of Germany. He also pointed out that the current situation with application of military drones is alarming. “At the moment, it totally changed the war situation. Take a look, for example, at Pakistan. There are daily attacks using drones from the US on the people there, and [there is] a lot of so-called ‘friendly fire’ and ‘collateral damage.’ In my opinion, the drones and the use of drones is something that should be also banned in an international treaty,” Tobias Pflueger stressed. Meanwhile, Mario Abou Zeid, expert on Middle East politics at Carnegie Middle East Center, pointed out that the INF treaty is largely outdated and must be modernized as soon as possible, adding that many world powers like China are currently developing their own cruise and ballistic missiles. “The way that the [US President Barack] Obama administration is perceiving, the biggest threat comes from the Pacific, which is the Chinese new-developed missiles technology that is booming. They have been implementing a tremendous project and a very ambitious program in developing ballistic missiles and ground-based cruise missiles,” the analyst recalled. He suggested that the calls of some US politicians and activists to do away with the INF treaty altogether is caused by the intention to break free of its limitations and put an end to the Chinese threat, and noted that the Ukrainian crisis and the situation with Crimea may be used as a pretext. However, Mario Abou Zeid said that such a step would provoke a new Caribbean crisis on an international scale. “Don’t forget that the INF treaty helped end the Cold War, which practically was a complete arms race between the US and the Soviet Union. If they abandon this important bilateral agreement, that had created the basis of the nuclear disarmament globally, this will launch directly an arms race that could leave towards the scenario [of the Cuban missile crisis],” the expert said. From his point of view, Moscow and Washington must learn from their history and establish mutual dialogue as soon as possible to preserve international peace. “There is no alternative but to have a direct dialogue between the Obama administration and the current Russian administration in terms of the treaty in order to improve it and to have better access to such facilities that could be a potential threat perceived by the other parties,” Mario Abou Zeid concluded.